The murder of the former president of Yemen, Ali Abdullah Saleh, by Houthi rebels may throw the country into the abyss of war, Catherine Shakdam, political analyst and director of Shafaqna Institute of Middle Eastern Studies, told Radio Sputnik. "The situation will very quickly devolve into a massacre, I am emphasizing on this word massacre since I [believe] this is what we are doing to witness in Yemen unless something is done very quickly," Shakdam said. "The situation has gone out of hands and so many bridges have been burned." According to Shakdam, now that the former Yemeni president died, it would be nearly impossible to negotiate the humanitarian corridor or any form of resolution for the war torn-country where two warring parties "hate each other so very much." The political analyst recalled that Ali Abdullah Saleh, who was first elected as the president of North Yemen in 1979 and was sworn in as president after the merger of North Yemen with South Yemen in May 1990, "has led [the country] through the very contestant period of its history." After he was ousted during the Arab Spring in 2012, Saleh sided with the Houthis who kicked off an uprising against the new government in 2014. Although Saleh had been repeatedly subjected to criticism for alleged corruption, "he allowed Yemen to maneuver very difficult waters" keeping the geopolitical balance between Saudi Arabia and other powers of the region, Shakdam noted. She continued that being a secular leader the former president had managed "to formulate a very clear vision for Yemen's political future." Commenting on how the Saudi-led coalition is likely to react to the death of Saleh, Shakdam pointed out that although the politician was criticized by Riyadh, he was seen as a broker capable of dealing with various political and religious factions within the country. "It's going to be very difficult for anybody to negotiate anything right now," she underscored. Saudi-owned pan-Arab television broadcaster Al-Arabia reported Monday, citing an official from the General People's Congress, that the former president of Yemen, Ali Abdullah Saleh, was murdered by Houthi rebels. 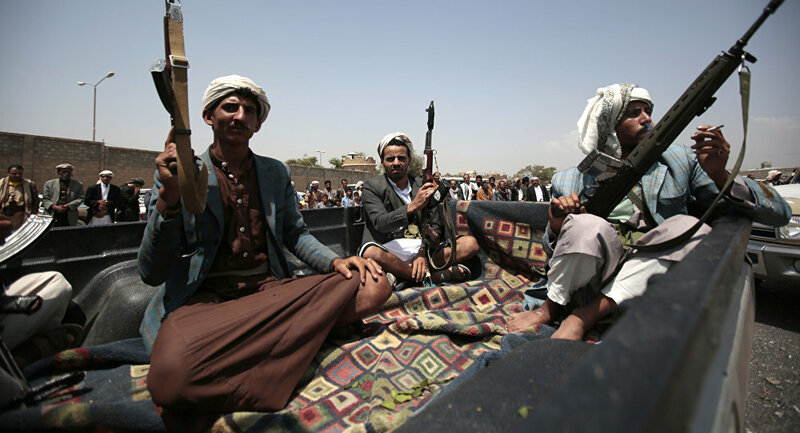 It was reported that the rebels attacked and blew up the house of the former Yemeni leader. Speaking to Sputnik Arabic, a senior Yemeni Army official, Maj. Gen. Yahya al Mahdi, said that Saleh was killed on the Sinhan-Maareb highway while secretly moving through the country. The attack occurred during the six-day clashes between Houthi rebels and forces loyal to Saleh, including a Saudi-led international coalition. According to the International Committee of the Red Cross (ICRC) the military actions claimed the lives of 125 while 238 were wounded over the past six days. Following the killing of Saleh, Yemeni President Mansour Hadi called upon the Yemenis to fight against the Houthi rebels responsible for the murder of the former president.